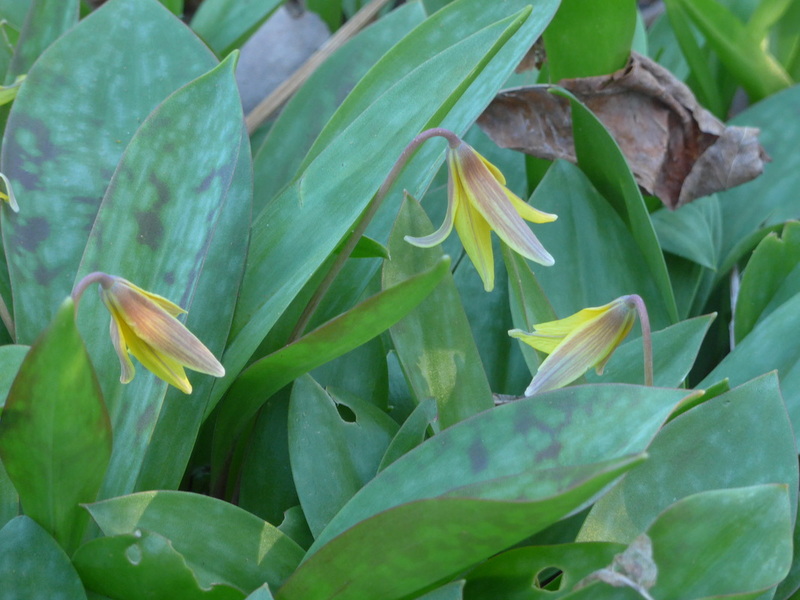 Found in early spring, flowering March - May, Trout Lily received this common name for its two mottled brown leaves that resemble a brown trout fish. They are attached at the bottom of the plant (basal) and the one-inch flowers appear singly on a long, bare stalk. There can be several flower stalks from each plant. This particular clump was found in a ditch alongside Kenduskeag Avenue. The Encyclopedia of North American Wildflowers says they are found in woodlands and meadows and grow from four to twelve inches in height.